Obama steered clear of stirring verbiage, delivering a gracious hat-tip to Bush and a reassuring brushback of the terrorists. 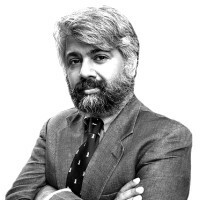 Tunku Varadarajan on what the president did well—and what he left unsaid. Barack Obama on Tuesday night delivered his 373rd speech since he took office in January 2009. (Is that a record?). And compared with his recent speeches, it wasn't entirely a humdinger of verbiage. Hallelujah. Until the last five minutes of a 17-minute address—five minutes in which he started to return, irrepressibly, to verbose type—it was a speech that was crisp, controlled, fair and balanced (pardon me, Fox News)—a speech that strained to be equitable within the largely inflexible parameters of Democratic Bush-odium. While nobody expected him to take the advice of the Wall Street Journal's editorial page—which called on the president this morning to give his predecessor "credit for the 2007 troop surge that turned the tide against the [Iraqi] insurgency"—one was pleasantly relieved to hear him acknowledge George W. Bush, and to hear him address Bush as a "patriot." That he balanced this compliment with the reasonable assertion that those who opposed the war were just as entitled to the "patriot" appelation should not detract from the essential decency of Obama's hat-tip to his predecessor in a speech that will have been heard, or parsed, intently across the world. Obama had a vision--a dream, if you will--that Operation Iraqi Freedom would be over by an appointed date; and over it is. This wasn't, of course, a "Mission Accomplished" speech. But it was, in its way, something not entirely dissimilar: Vision Accomplished. Obama had a vision—a dream, if you will—that Operation Iraqi Freedom would be over by an appointed date; and over it is, even if the ending of the Operation is festooned with airy assurances that, while our combat mission is ending, "our commitment to Iraq's future is not." Of course, this commitment won't be anything of the magnitude suggested this morning, on the op-ed page of the New York Times, by Paul Wolfowitz, who expressed his hope for a South Korea-style stationing of U.S. troops in Iraq. But it is reassuring that this withdrawal does not have, about it, the feel of a totally cynical cut-and-run. • More Daily Beast writers on Obama’s speech• Ten Iraq War LegaciesReassuring, too, was Obama's willingness to fleck his speech with such worry-words as "terrorism" and "terrorists": Although the violence in Iraq will not end on our withdrawal, Obama said, the "terrorists will fail." We "must not lose sight," he went on, "of what is at stake. We will disrupt, dismantle, and defeat al Qaeda." I can't recall stronger words from Obama on the subject of terrorism in recent memory. If the coming elections—and the fear of a Democratic rout--have stiffened his spine on the subject, then I, for one, feel much the safer for it. As for the Iraqis, how safe will they now feel? Formal withdrawal or not, we still "own" Iraq, in the sense of our continued commitment to its welfare, and of our residual guardianship of a post-Saddam civitas. This is not because we "broke" it, which we did not, but because we re-engineered it. And it is in this commitment, I fear, that Obama will fall short. Will we—will he—be flexible enough, imaginative enough, non-hubristic enough, to send combat troops back if we need to? That is, no doubt, the subject of another speech. Maybe speech #450, sometime next spring.